This 40 foot long section features jump through openings, pop ups, log jams, squeeze walls, crawl tubes, and a rock wall slide. 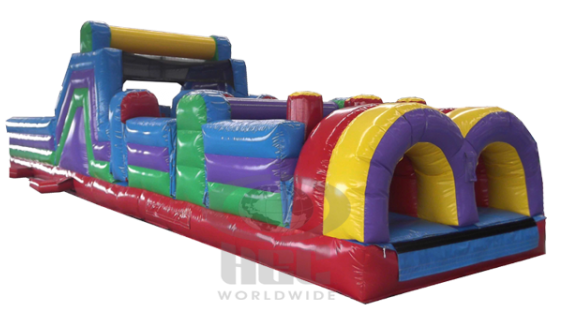 Our 40 foot obstacle section can be used by its self or combined with any of the other sections. Great front section when combined with a rock climb slide. Perfect for backyard events, company picnics as well as church and school events.